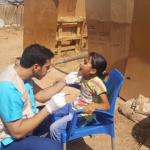 October 2017 saw the first group of volunteers go to Jordan as part of the Dental Aid Network. Jordan is a small country in the middle east which is host to many historical sites including the dead sea, many roman ruins and the ancient city of Petra (where Indian Jones and the last cruisade was filmed). 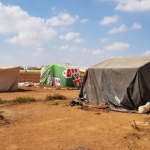 The popluation of Jordan is approximately 9.5 million which includes 3.5 million refugees from neighbouring countries which have suffered ongoing conflicts. 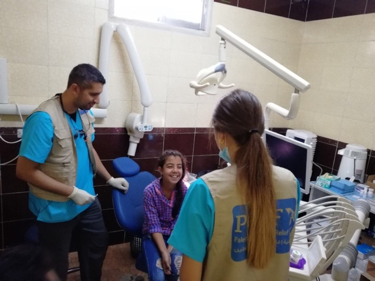 Partnering with PCRF (Palestinian Children’s Relief Fund) we had planned to explore and distribute much needed dental aid in Amman and Mafraq. 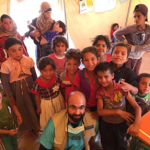 Being the first Dental Aid mission to this location, we were unaware of exactly how great the need would be and exactly the facilities we would have to help us provide such aid. Myself and two of my colleagues left Glasgow and flew for a 5 day mission to Amman, Jordan. We were greeted by our driver, Adel who took us to our hotel in the early hours of Sunday morning. Little time to get some rest we were all eager to get started and met with the rest of the volunteers and co-ordinators to plan the coming days at 9:30am. 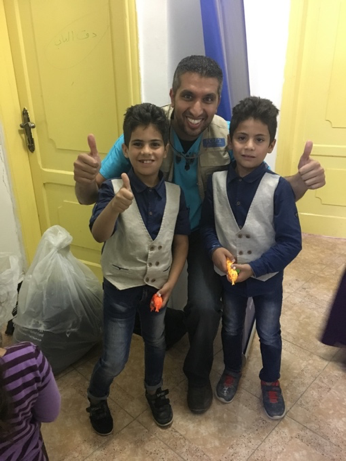 There were 4 volunteers who were all interns (equivalent to Vocational Dental Practitioner in UK), who kindly took time off from work to help with the mission. 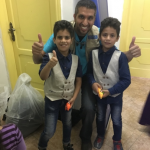 We were in uncharted territory as there had never been a Dental mission in Jordan before and we were not sure what to expect when we attended the clinics. 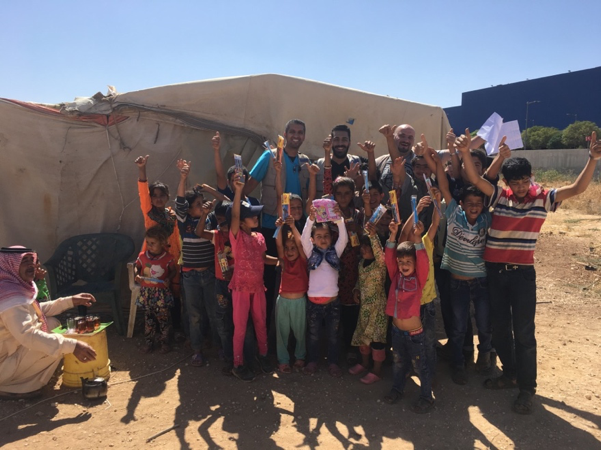 We had brought some basic supplies and oral health packs as well as some toys for the children. 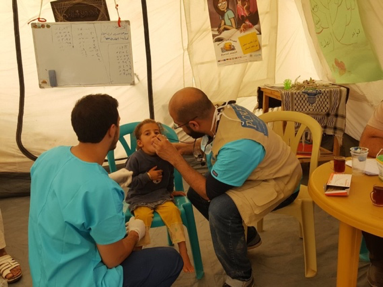 There were 2 clinics, one in Amman and the other in Mafraq (a city around 45 mins from Amman and in the north of Jordan). 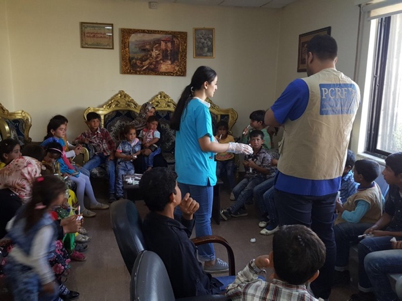 Together with the PCRF, team we agreed that it would be best to split up and each attend the clinics and refugee camps. 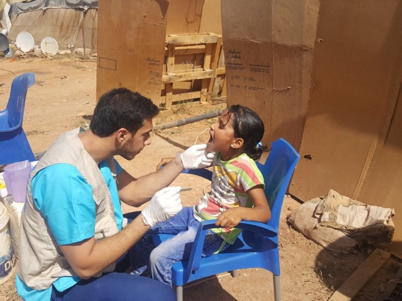 Therefore, a team, consisting of one DAN member and 1 or 2 local volunteers would attend the clinics and one team would go out to the refugee camps to provide basic oral health instruction and begin screening for the coming days in the clinics. 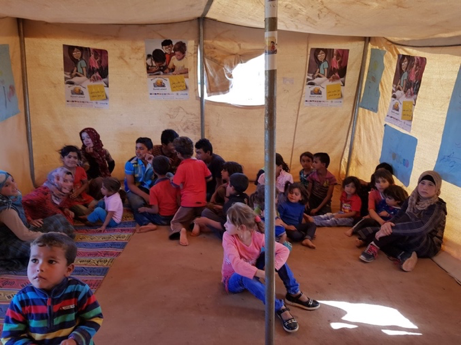 The clinics were run from 9.30am until 4.30pm and children were bussed in the morning from refugee camps to attend the clinic. 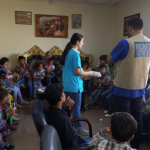 At the start of the day when all the children were sitting in the waiting room we had a prime opportunity to provide oral health instruction to everyone. 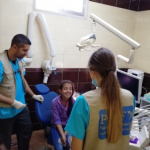 The help of our local interns was invaluable as they were fantastic in demonstrating how to brush and going over good oral health instruction with all the children. 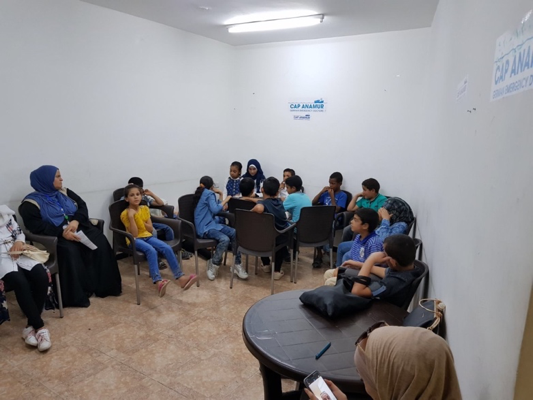 In addition, we went over diet advice with the children but also with the teachers based in the camps so that this would equip them with the much needed knowledge to continue good oral health practice everyday. 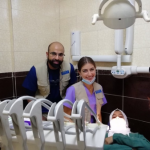 The clinics were relatively well equipped providing the ability to perform basic procedures such as extractions and routine fillings. While we did request further instruments and materials, due to time constraints we were unable to get all the things we would have liked. 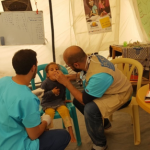 However, the demand for treatment was incredibly high and as a consequence we were forced to prioritise those who were suffering in pain or had swelling to be treated first. It was amazing to see how everyone in the clinic was working together. 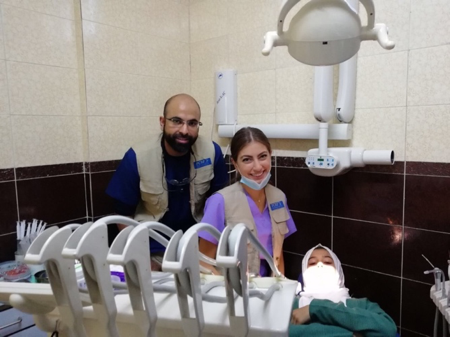 The dental assistants were volunteers themselves, some had never worked in a dental setting but were very quick to pick up exactly how we worked. 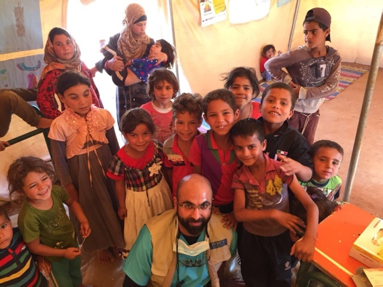 It truly was a team effort as we were expected to see around 30 children in each clinic a day. 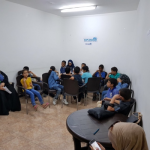 We had a lot to fit in, group oral health instruction and treatments ranging from simple fillings to extractions throughout the day, quite often with no break. Happy twins – required identical treatment! 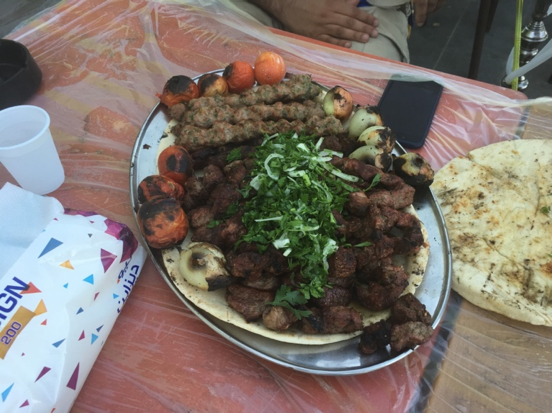 After the clinics had finished the PCRF team would take us out for a meal and we would then return back to the hotel to get refreshed. 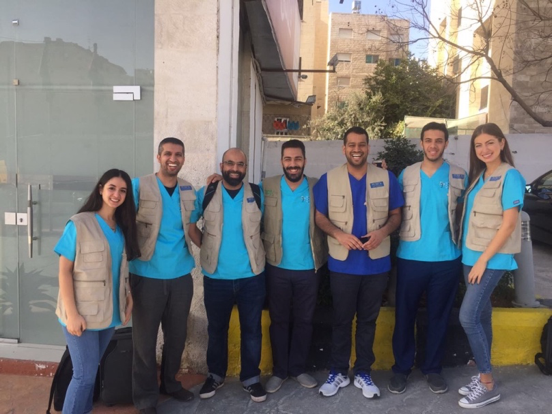 We were over whelmed by the kindness of the PCRF volunteers as they came again to take us out and showed us around the beautiful city of Amman at night. It was an amazing experience to soak up the atmosphere of a wonderful city made even better while creating friendships with our PCRF colleagues. 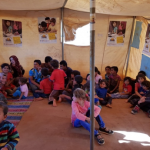 Spending time at the refugee camps was a humbling experience for all of us, as seeing pictures on TV are never enough to prepare you when you see the conditions some of these people are having to live in. Within each camp was a school and the teacher was our point of contact with whom we liaised with to co-ordinate the time at the camps. 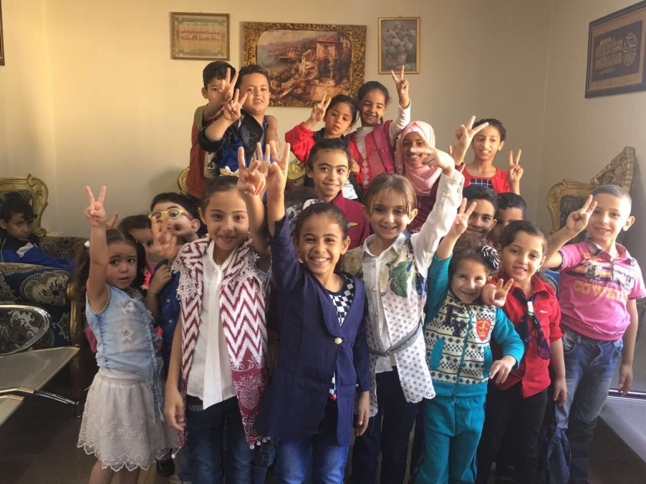 The children were gathered in the school and we would perform some simple exams to assess exactly what was needed, so that when they attended the clinic we were better prepared and more efficient with our treatments. Again, group oral health instructions were provided to all the children and teacher so that this may be re-enforced in future classes. 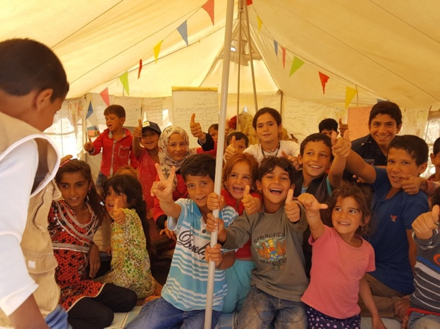 We were then able to visit some of the tents and families speaking directly with them. We were heartbroken by the stories of hardship and suffering they had faced, it was difficult at times not to shed a tear. Despite this, the hospitality they showed was unbelievable. The little they had they would offer to us as guests, giving boxes of fresh vegetables which had taken them several months of hard work to grow. While we refused to take them, they would not take no for an answer and made us at least have some traditional Arabic tea freshly brewed before we could leave. In the face of such difficulty these people have endured, their humbleness was a true lesson and eye opener for us all. On our final day, we had a great dinner with the PCRF team and the 5 days could not have gone past any quicker. The main topic of conversation was the return of DAN to Jordan and what more we could do. We could only scratch the surface to what is a very great need and certainly we are now more aware of what is needed. We didn’t get much time to enjoy Amman but that was not the reason for our visit. We learned a lot from this first mission which means the next mission will be better prepared and we hope can reach even further. 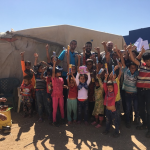 It goes without saying that this could not have happened without the hard work and warm hospitality shown by all the volunteers in Jordan and the entire PCRF team. All our needs were taken care of and we were treated like family. Thank you all so much! A very big thank you too to all our donors, families and friends without whose support we would not have been able to achieve everything we have accomplished so far.